Celebrities can be a great source of inspiration when it comes to new fashion trends in hairstyles, and while sometimes they may not hit the mark with a new look in terms of public appeal when they go for a drastic hair image change (think Katy Perry’s switch to short hair), sometimes they can truly trigger a trend (think Miley Cyrus’ undercut). Here are three fashion-forward celebrities who are currently sporting looks that are flattering and wearable for mere mortals, too! Emilia Clarke is definitely one of the hottest celebrities around at the moment, even though fans of her best-known character – Daenerys Targaryen in Game of Thrones, will have to wait until 2019 for the next instalment of that show! On TV, she has long, platinum blond hair styled in elaborate braids, but Emilia’s real hair is a far more practical shoulder length mahogany brown style. Lately, she’s been sporting cute center parted bangs. Bangs are often something that comes and goes in hair fashion, but for 2018, this highly wearable look which flatters most faces is very much in, so for a practical and versatile cut, following Emilia’s example is a great idea. Has Beyonce ever had a bad hairstyle? Her current look is one that has certainly created a trend – extremely straight, long hair. Nicki Minaj has been rocking a similar style but with a more dramatic color. 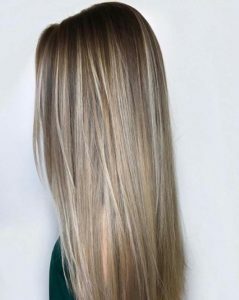 To achieve this look, it is not a case of straightening your hair as normal but making every strand as straight as a pin, so it lays against your body. If you find you have some flyaway strands ruining your mirror-straight look, spray hairspray on a clean mascara wand and use this to tame them. The big, blown out look with plenty of volume is big news in hair this year, and Jessica Biel has been showing fans exactly how to wear it. 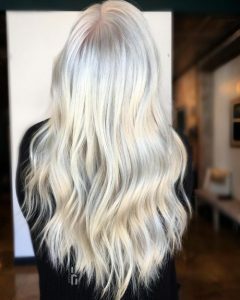 While this look may sound like an ’80s revisit, it is somewhat softer and more casual than the heavily styled and backcombed big hair of that decade. You want volume at the roots but also a softness through the lengths – achieved most easily by blow-drying with your head upside down! If you have a celebrity look you’d like to emulate with your own hair, make an appointment with the best hairstylist in NYC today!